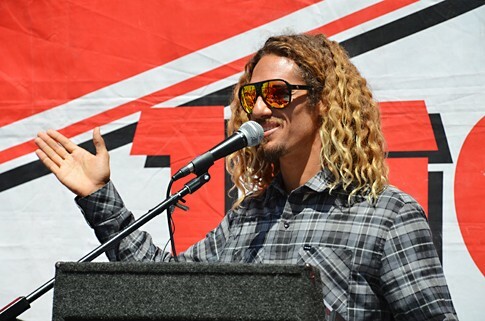 Rob Machado "2011 Surf Champion"
Velzyland, Lance’s Right, Queen’s, George’s…Few surfers are fortunate enough to have a wave named after them. 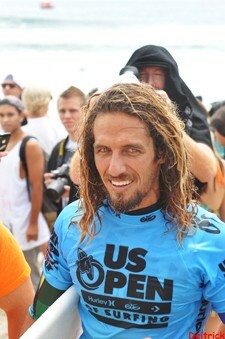 However, Rob Machado isn’t your typical surfer. Machado holds a certain bond with a stretch of Huntington Beach sand that propelled him to three U.S. Open victories as well as three runner-up finishes. And thanks to his bold choice to take risks and sit away from his fellow competitors, the sandbar 400 yards south of the HB Pier will forever hold the “Machado’s Peak” namesake. The smooth, flowy goofyfoot from Cardiff, California is widely regarded as having the best style out there and holds superior ability when riding myriad shapes of surfboards. And his induction into the Surfing Walk of Fame now marks the second immortal spot Machado has locked down in HB. A former Pipeline Master and World Number Two surfer, Machado’s surfing career spans to the far corners of the globe as well. 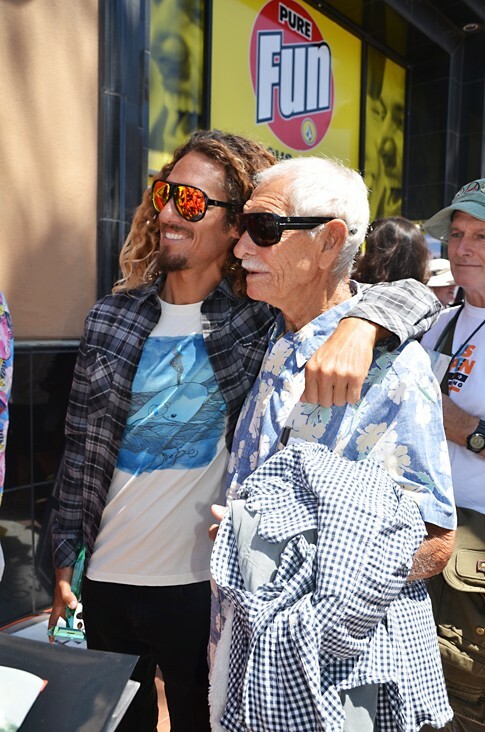 He’s starred in over 50 surf films and blessed countless magazine covers over his 20-year professional career.